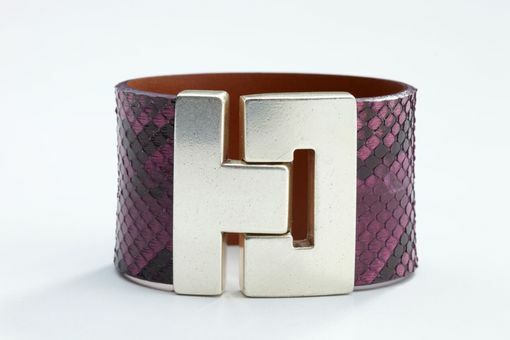 Elegant, but with a slick, urban edge, this bracelet will draw all the right attention to your outfit. With its sharp design and modern, bold clasp, this piece certainly is a head-turner. 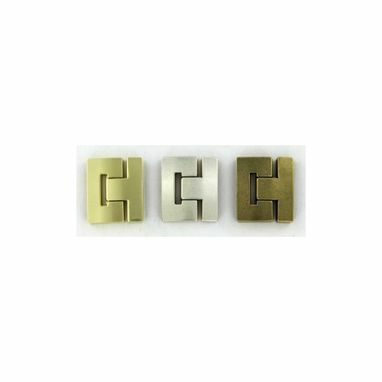 The clasp is available in gold (for those who enjoy the spotlight), silver (for a more modest, yet distinguished look), and antique gold (for a more natural and classy look) finishes. This collection has the widest variety of color and skin options, to match any outfit, and to act as a perfectly distinguished accent. Our Southeast Asian python skins are locally tanned and finished, applying decades of experience and skill. Available in many colors from vibrant and bright to deep and dark, in both glossy and matte finishes, these skins provide us with a wide variety of beauty. Many of the python finishes you will see preserve the spectacular natural pattern markings of the snake, using an elegant contrast of colors. Just as no two pythons are exactly the same, the markings on each item made from these skins is perfectly unique. 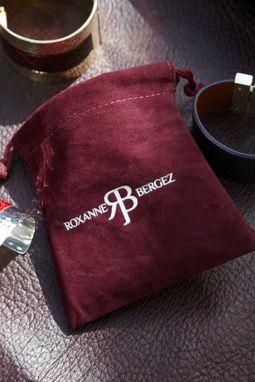 We at Roxanne Bergez only use the highest grade genuine leather and exotic skins to handcraft all of our products. By acquiring them directly from the source, we have amassed a collection of superior quality from all over the globe. Even the lining for our bracelets, which is hand-milled, has been selected to ensure a premium product that will stand the test of time. Our artful crafting techniques, from stitching to molding, have been perfected over time to bring you luxury leather jewelry that exudes a brilliant savoir-faire.